Enjoy your favourite magazines with 1 month’s FREE Readly subscription, courtesy of Absolutely Education. With over 2,300 titles, unlimited viewing, family access and anytime cancellation - it’s an unmissable offer. *This offer gives you 1 month of Readly for free and is available for new customers only. 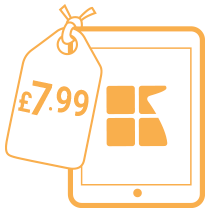 After 1 month you will be charged a standard subscription of £7.99 a month which can be cancelled at anytime.